When you access for the first time the https://fondation.michelin.com/fr/ web site, the legal notice of the site will refer you to a page that will give you all information on the cookies that are installed and used by this site. On the one hand, you can consult the cookies already installed on your terminal through the use of your browser, and delete them one by one or all at once. The tracking cookies enable third parties to provide services that are mainly in advertising, and to better their efficiency. These cookies can retain the pages and websites that you visit, and can collect some personal data, mainly the IP address of the terminal used by the internet user. The collected information can also be shared with third parties. It is the case, for example, of cookies that allow advertisers to propose tailored commercials adapted to your centers of interest that is determined according to your browsing history on Michelin Internet websites, or that limit its repetition. These cookies require the authorization of the internet user visiting the website. In this case, a banner will appear on the front page of the website in order to ask for your consent to install such cookies. 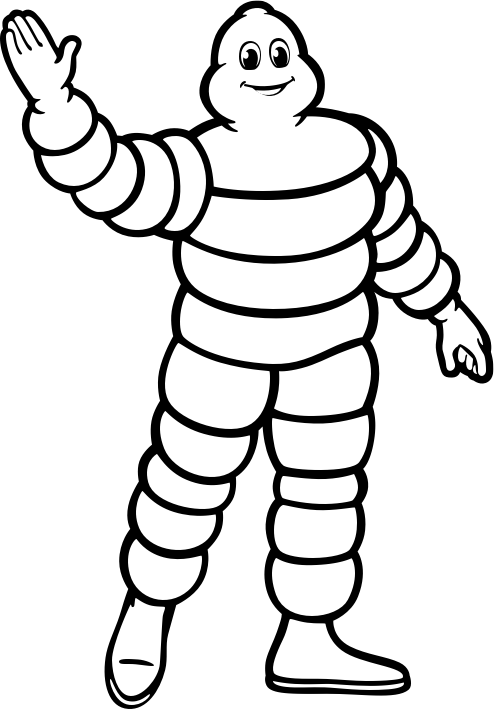 Michelin also uses what we call social plugins, which take the form of sharing tools, relating information through social networks such as Facebook, Linkedin, or YouTube. During your visit on our internet web site, these social plugins can be deactivated by default, meaning that they won’t transmit any information to the relevant social networks without an intervention on your behalf. Before you can use these plugins, you have to activate them through a click. These plugins stay activated only until you have deactivated them once again or that you have deleted the relevant cookies. You will find more ample information on how to deactivate these plugins or delete the cookies in this above sections of this policy. After activation, the system establishes a direct liaison with the social network chosen to share the relevant content. The content shared through the plugin is then directly transferred from the social network to your internet browser, which integrates it to the visited internet website. Once you have activated the plugin, the relevant social network can collect data, independently of that fact that you actually use or not this plugin. If you are connected to a social network, it is in measure to link you visit to the present website and your user account of the network. The visit to other Michelin websites will not be linked to this present visit and your user account of the social network as long as you have a not activated the corresponding plugin on these sites. If you are a member of a social network and do not wish that this network established a link between the collected data during your visit and the information saved during your registration, it is mandatory that you disconnect your user session from the network before activating the plugins. Please note that we have no influence or decision to be made on the volume and nature of the data collected by the social network through these plugins. To understand the volume and nature of the data processed, and the finality of the processing, as well as the means of processing, and the use of the data by the social network, as well as the rights and options to of control at your disposition in order to protect your privacy, please read the mentions and legal information relating to the protection of personal data published by the relevant social networks.